No one likes to talk about their failures, but blogging about them is a little easier. 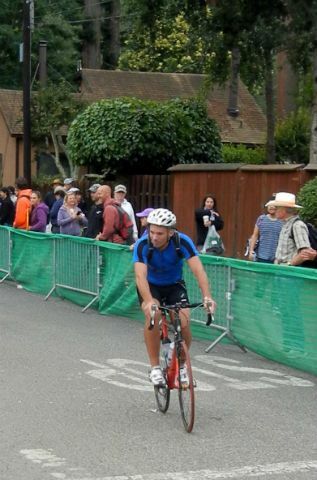 Last week I attempted my first Ironman distance triathlon at the Vineman in Windsor, California. This was the culmination of a year of training and done with the support of my family and friends. Throughout the year of training, I never thought there was a chance I would not complete the race. Even though I knew how difficult the event could be and that in any long distance race there are a multitude of reasons why someone might have to drop out, I truly believed I would be able to overcome any issue and finish. Unfortunately, that did not happen. As I reflect on my failure to complete the biggest race of my life last weekend, I have experienced the whole pendulum of emotions. I experienced the expected sadness and disappointment of not achieving my dream of completing the Ironman and the let down of having worked so hard without seeing the result. During my training I received a tremendous amount of support from many people. In the first few days after the race I felt like I had wasted everyone's time and energy, and I had let everyone down by failing. To see a DNF next to your name at the biggest race of your life is a tremendous blow to your personal psyche and self-esteem. I have a great network of family and friends, and I have received many messages and words of encouragement since the Ironman disaster. My uncle told me DNF stands for "Dave Never Fails" and I should keep my head high despite the disappointment. My mother said the truest test of my character is what I do right now. I let myself be sad for about 48 hours, and then I got back on my bike and went for a ride. Below is my race report of my failed attempt to finish the Vineman. Pre-race: I woke at 3 AM after a good night's sleep and had a big breakfast and felt prepared mentally for the event. We had driven the bike course and saw the swim area the day before. It was a cool 52 degrees with no humidity. Perfect for racing. Swim: The 2.4 mile swim is in the Russian River in Guerneville, California. The water was comfortable (low 70's), and I was wearing a full wetsuit. The swim was a double out and back with the the "out" being against the current and the "back" being with the current. The start went off without a hitch but about 10 minutes into the swim the river narrowed and it started getting real crowded in the water. I have been competing in triathlons for over 20 years and in this race I was hit the most I have ever been hit in the water. Many people were swimming off line slamming into my ribs, banging my head, chopping my legs, etc. I had to continuously site and try to steer away from the chaos. None of this really effected my time but it made for an uncomfortable and irritating swim. As the swim waves converged I was constantly being passed by faster swimmers catching my wave or running into a "wall" of very slow swimmers from the waves ahead of me. Due to the narrowness of the river sometimes it was difficult to find some clear water. Another factor on this course is that in a couple of areas on each lap the river is extremely shallow. It was so shallow my hand hit the rocky bottom forcing me to stand up and walk for 2-3 minutes before it was deep enough to swim. Despite all of these issues my time was not really affected. I finally exited the water in 1:21. I wanted to be at 1:20 give or take 5 minutes so I was right on track. First event done..I felt great and now onto the bike. Run: The run course at Vineman is 3 out and back hilly loops. At this point in the day it was pushing 85 degrees, and I had just barely survived the bike. I was greeted in transition by my family who had made signs and were very excited to see me and cheer me on. They had no idea what kind of condition I was in or what a fight it was just to finish the bike. I tried to rally; I changed and headed out on the run...sorry, I meant walk. I could not run. My heart rate was still through the roof and I was struggling. Over the next few miles I tried to run the downhills but as soon as I returned to a walk my heart rate was so high I had to slow down to a slower walk or stop altogether to catch my breath. I knew I was in serious trouble. After the first 4 miles I stopped attempting to run at all. By mile 6 I had trouble walking. I was seeing black spots and walking any pace was a struggle. I finally completed the first lap (8.6 miles) and knew I was done. After speaking with a race official I was assisted to the medical tent and my race was over. 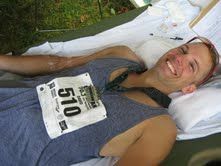 Post race and reflection: In the days after the race I relaxed and let my body recover from the event. I had the usual soreness, chafing, swelling (I was stung by a bee during the bike), sunburn, etc. Unfortunately, you still have to deal with those issues even if you didn't finish the race. At this point I will be re-analyzing my nutrition/hydration plan and try to figure out where I went wrong. My training was right on target, and I was in the best shape of my life. Completing the Ironman in my first attempt and having the story book ending would have been a dream. But life is not always easy. The reality is, sometimes we do fail....and guess what...we try again..and again..and again..until the goal is complete. 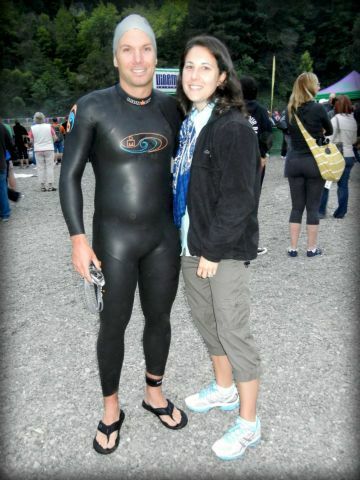 I will make my second attempt at Ironman glory on September 8th, 2012 in Montreal. I do not want to waste my current high level of fitness and I will not give up on my goal. I will finish the Ironman. Let me start off by saying that for the first 29 years of my life, I was skinny. Skinny and lazy. Life was good – wake up and eat Lucky Charms for breakfast, have a burger for lunch, BLT (don’t you dare hold the mayo) for dinner and never even think about working out kept my 5 foot 3 inch frame at about 105 lbs. 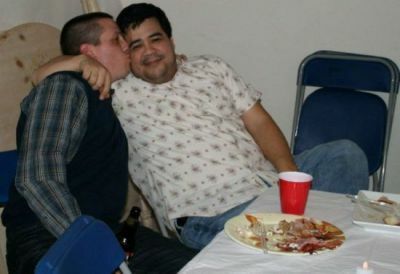 Before you start hating me, I will tell you that living a life with absolutely no will power does not bode well for someone who eventually finds themselves in the position of having to lose weight. In May 2009 I was thrilled to find out that I was pregnant with my daughter. Over the course of 9 months, I gained over 50 lbs. At 6 months pregnant, my doctor told me that I had gained all the weight she would recommend for an entire pregnancy (oops). At that point, I figured “who cares”? Once I have this baby, I’ll drop all the weight and be skinny again, like I have for my entire life...right? In January, 2010 I delivered a beautiful, healthy little girl. Considering she weighed over 8 lbs, I figured that losing weight would be easy – after all, I had just lost at least 8 lbs easily (OK, so 24 hours of labor and 2 epidurals isn’t so easy, but you know what I mean). Over the next 3 months before I returned to work I managed to drop about 25 lbs without doing very much. In addition to the calories burned while breast feeding, the fact that my child didn’t enjoy sleeping and constantly wanted to be held led to a diet of “shove whatever you can get in your mouth whenever you can” and it seemed to be working. As life settled down over the first year and we settled into a nice routine, I started to follow my daughter’s cues in terms of eating. For anyone who has a young child, you know that they eat often. Our meal schedule became breakfast, snack, lunch, snack, dinner, snack. While this was fine for my toddler, it was not okay for Mommy. My husband gets home later from work, so I’d feed my daughter dinner at 5 (and eat with her), then I’d eat when my husband got home (you know, so the poor guy didn’t feel lonely!) By the time my daughter was a little over one, I’d gained back about 20 of the 25 lbs I lost – I was back to my weight at 7 months pregnant! THAT quickly...that’s just not right). app for my phone called Lose It! where I could track everything I was eating and when I was working out. Considering at this point I wasn’t working out at all, I had a sneaking suspicion that I was going to have to start. potato salad to grilled chicken on a salad of lettuce and other vegetables. colors and got bruises in places I didn’t know you could have bruises). and I don’t work close enough to a gym that I could make it on my lunch break so that wasn’t an option. one option seemed particularly appealing. put my daughter in daycare for an hour on the days I was home. My Mom-Guilt kicked in big-time. and to just move on and try again the next week. watching TV, playing tag, and even the occasional jog (although I try to avoid the mailboxes). sadder than it did pre-child, I try to remind myself that this body cooked a human being! I took 2 cells and transformed them into an 8lb 3oz gorgeous, strong, smart little girl – and that is an amazing thing! 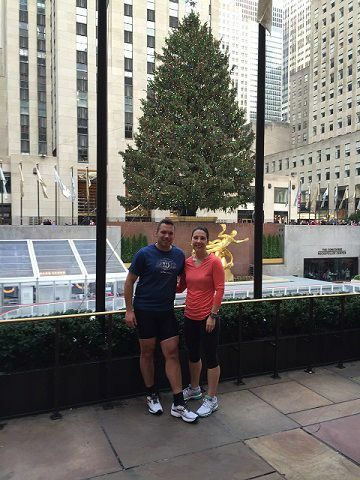 As a runner being on vacation does not mean you take a vacation from training. Many times it is quite the opposite. Being on vacation gives you the opportunity to run in new places and explore new areas. For me this is always exciting. 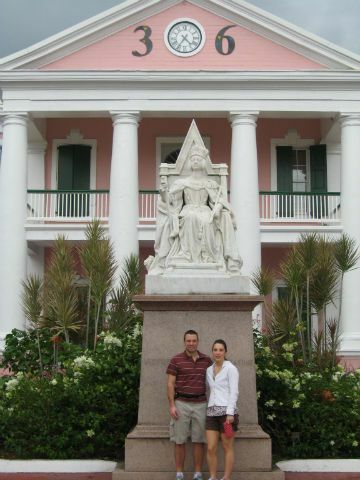 In 2010 I was able to go to Nassau, Bahamas with my wife and daughter to escape the cold New England winter. If you read my previous post about running in Washington, DC you will know that my family enjoys running from place to place while we are sightseeing. We did the same in Nassau. We mapped out a running route that would take us by all of the sites we wanted to see. The route we ran took us to Rawson Square where all of the government buildings are located, the Queen's Staircase, the Water Tower, Fort Fincastle, and the shops on Bay Street. The run was about 6 miles long and while we enjoyed the sites there were a few drawbacks to the adventure. I have traveled to a few Caribbean islands and there is always one thing that stands out while you are running. Dogs!! There are loose dogs everywhere. In all my years of running I have never seen a loose dog in a downtown city area. In the Caribbean this is commonplace. The first time you see it you are shocked. After awhile you try to ignore it but seeing 2-3 loose dogs walking together down a main street in a major city is very strange. The other thing you will notice is that many of the tourist attractions are located in run down areas. On our short run we noticed people living on the streets, broken down cars, and whole neighborhoods of dilapidated houses and trash very close to popular tourist areas. Beyond our running tour of the island, I ended up running quite a bit to get around. We were staying on the main island near the bridge that goes over to Paradise Island. The very famous hotel and casino Atlantis is on Paradise Island. On the first day of our trip we took a cab over to Atlantis. 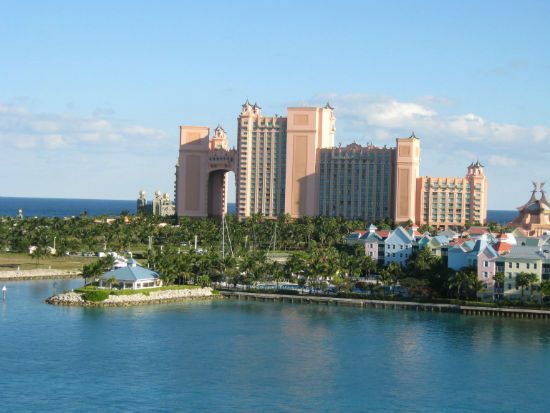 After a short drive up and over the bridge we arrived at Atlantis and were told the cab fare was $20. After I stepped out of the cab and realized it was going to cost me $40 round trip every time I went to the casino I said...No way!! I was not paying $20 to travel 2.5 miles. Now I love gambling and had planned to go to the casino every day of my 4 day stay in Nassau. I would much rather spend the $40 x 4 = $160 in the Atlantis Casino than on a cab. So I decided to get myself to and from the casino by running. Each day I put on my shorts, fanny pack (for wallet) and golf shirt and did an easy jog over to the casino, and when I was finished I would run back. 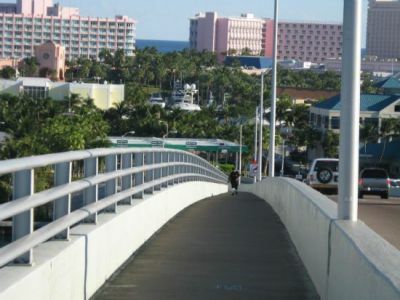 Unfortunately the bridge over to Paradise Island is no picnic to run over. It is a very steep uphill followed by a steep downhill. I have to admit it was a pain to have to run a total of 5 miles just to gamble, but I did it. The sweat on my shirt probably wasn't cool when I arrived at the casino either, but I didn't care. I'm a runner, and it goes against my nature to pay for such a short ride. I did enjoy my trip to Nassau and ended up running 25 miles in the 4 days I was there. If you have never been, it is probably worth checking out. However, with all of the travel choices out there, unless you can foot the high price to stay at Atlantis I would probably look at another location. Over the next few weeks I will be writing about several different exercise activities I have done along with my plant based diet plan. During the last 7 months I have used road cycling, spinning, swimming, and yoga to create my new body. Be sure to click the "Like" box on the right to be the first to receive my new posts. Check out my video message below and for those that haven't seen me in awhile....Check out my new body! Read Part 1: "My Journey from the Atkins Diet to Plant Based Living"
Read Part 2: "The Juice Fast, Into the Belly of the Beast..."
Read Part 3: "The Single Ingredient, Controlled Calorie Diet"
Read Part 4: "Winner, Winner Chicken Dinner?" Over the next few weeks we will take you through the incredible transformation of Mike Tang. At the end of 2011 Mike weighed 240 lbs (5'8) and was in terrible physical condition. In just a few short months he has lost over 50 pounds and has just recently finished the Bassman Triathlon. Part 1 of this series starts with why Mike decided to change his life. Part 2 takes you through his 10 day juice fast and other steps that led him to plant based living. Part 3 explains the process Mike went through to determine what to do after the juice fast was completed and how he started the plant based living lifestyle. Part 4 (this post) completes this series with the final results of the biggest loser competition and final lessons learned. Mike is not a medical professional or nutritionist. Consult your doctor before starting a nutrition or exercise program. VTR does not promote this or any other diet/exercise plan. This story just describes one man and the steps on his journey that led to his incredible transformation since December 2011. If you eat only vegetables, where do you get your protein? Any vegetarian or vegan will tell you this is the biggest question people have about eating a plant based diet. Will you lose muscle mass? What can you eat that will fuel your body? These questions are all legitimate to ask, and as it turned out I had pre-existing biases about protein and I had been living with these biases my entire life. I don’t want to say that not eating meat is the right choice for everyone, but I will say we live in a country that celebrates our animal based food production. We as a culture have decided that animal based protein is healthy, and as such we should eat as much as possible. There is a cult like obsession to the consumption of animal protein with deep seeded rituals around all of our favorite activities and gatherings. Sporting event or summer holiday?...Boil up some hotdogs, fire up the grill, and cook some sausages. 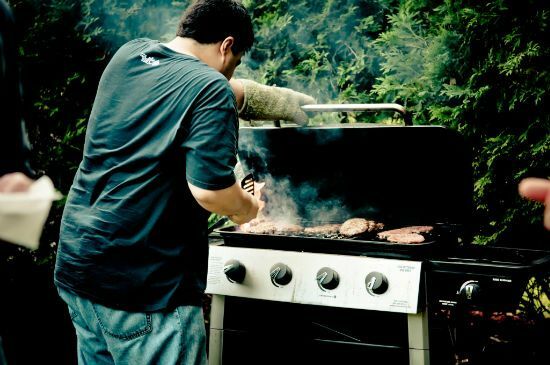 This 4th of July, how many of us grilled up burgers, steaks, and BBQ chicken, overeating heavy meat based products. The simple truth is this: protein exists in all foods, not just animal products. As long as you are not calorie deficient, eating a balanced plant based diet of nuts, beans, fruits, vegetables, and whole grains will provide you with all of the protein you need. So why do we have this misconception that the only source of protein is from animals? Meat is a complete protein, which makes it a very efficient source of protein. Since it is efficient, it has been labeled as an excellent source of protein. This is why I don’t think that eating meat is necessarily bad, but the amount of meat we should consume is drastically less than we eat. I was starting month three, and it was really time to buckle down. I had no real understanding of how much I had to lose this month in order to win the competition. Was it even possible for me to catch my co-worker? I had it calculated a million ways, and I was worried about all of them. The strategy to not weigh-in was a great one; it was in my head. Then something clicked for me. I had to let it go, this competition was not about winning, but about getting healthy. The only thing I could control for certain was my eating and exercise. I would have to give it my all and let the chips fall as they may. It was around this time I decided I wanted to start to add exercise into the mix to really melt the pounds off. One of the lessons I learned in month one was that by working out I gained muscle mass. Muscle is heavy, I didn’t want to gain too much muscle, so I decided to swim and use the elliptical. Both of these exercises would allow me to get my heart rate up, and if I spent the time with low resistance, I knew I would not build muscle mass and my weight would drop. The elliptical became my new best friend. I would eat up hours at a time on the elliptical. 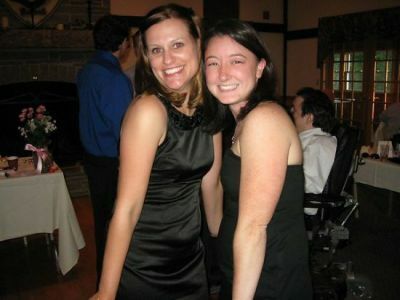 Like my new found love of hunger, I started to really enjoy the hours of boredom as my legs and arms moved in circles. I again gave myself no excuses and it seemed to pay off. During this time it was not uncommon to complete an hour and 30 minute elliptical session with no headphones. Hours spent with just my thoughts and me. Thoughts that “if this was easy anyone could do it”; thoughts that “this might just be crazy enough to work”. It was during a swim session that I was feeling very strong. I had been swimming laps for about an hour with my thoughts, trying to keep my mind entertained, when I thought about what I was really doing. I had limited my calories and I was swimming. Generations ago, when food was not as plentiful, our ancestors had to do the same thing. Not swimming laps at the YMCA, swimming in the sea in search for food. It occurred to me that the body must condition itself to be quicker and more efficient when not given food in the short term. How else would we have survived? When we have a surplus of food we store it and get overweight. Our bodies naturally get slower and hunting becomes more difficult. I kept swimming with purpose, my body was tuning for the hunt. This month the weight loss had become predictable. I would stand on the scale daily and know exactly how much I was going to weigh. I knew what would cause my weight to fluctuate and how much I would lose when I went to the bathroom (I weighed myself before and after every morning). Then came the final day of the weigh-in. I had scheduled to be in late to work that day. The weigh-in was scheduled for noon, and I had booked time at the gym in the morning. I woke up and only drank 8oz of smart water . I didn’t want to gain water weight, and I was on the way to the gym to sweat out the last of my weight anyway. I got to the gym and hit the stationary bike. I threw on a sweatshirt and began pedaling. Two hours later, drenched to the core from sweating, I showered and headed to the office. Was it enough? Did the work of the last three months pay off? I rushed to the weigh-in and stepped on the scale.....194lbs...I had lost another 21.5 pounds in the month of March, bringing my total weight loss to 19%. So had I won? Well, look at me, I lost over 45 pounds in three months and had more energy than I have had in a long time. By anyone’s definition I was a winner. Then came the news, with a very hard fought and disciplined plan, my co-worker had lost 16%. I had won! Winner, winner chicken dinner! But, not so fast. Being vegan had given me energy to workout almost indefinitely, and working out had begun to show results of muscle definition. Why stop? I liked the way I ate and how I felt, and I didn’t want to gain the weight back so you know what? 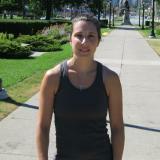 What started as an aggressive way to lose weight had resulted in a healthy lifestyle. I still have a lot to learn and many years of exercise, but it is now under my control. I would like to thank all those at Percussion (www.percussion.com) that were a part of the biggest loser competition and those that cheered us on! Also Audra, for putting up one of the most competitive fights I have been involved with in my life, thank you for driving me to deliver the very best I could. Deidre, thank you for believing we at Percussion should “be healthy” from this competition and the fruit in the bullpen. To the yoga room, thank you for providing the things we need to stay healthy as part of our culture. And finally, a big thank you to my wife and kids. The time invested in changing my lifestyle now will pay off in the future; I look forward to attending all of weddings of my great grandchildren! 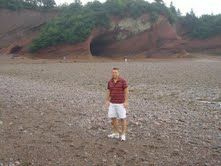 The Bay of Fundy Trail is located in the village of St. Martins in New Brunswick, Canada. 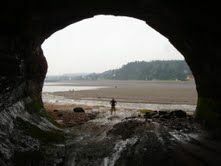 It is a park of sorts, with a 10 kilometer path and an adjacent auto road winding along the Bay of Fundy. Since my husband, Dave, and I are both runners we are always on the lookout for unique places for a long run, especially when we are traveling. A few summers ago while on a trip to St. John, we heard about the Bay of Fundy Trail (BFT) and thought it would be perfect. It was a foggy July morning when we headed out to the BFT. We parked at the south end of the trail, intending to run the 10k path to its northern end and then back. We headed down the gravel path with a light mist falling around us. The trail was set up high, away from the coastline, surrounded by green and the hushed sound of the ocean far below. After running for about 5 minutes we noticed a side path leading down toward the water. We decided to explore. Leaving the main trail, Dave and I headed down the steep path that eventually turned into wooden stairs. At the bottom we had a clear view of the beach below, even though we were still a good 100 feet above it. 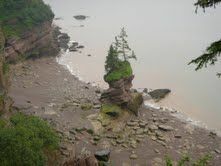 It was low tide, and since the Bay of Fundy is famous for its low tides, the water had receded behind a curtain of fog. We stood still, looking down on the endless beach rimmed with cliffs, our hearts still beating from our swift decent. After snapping photos we headed back to the main trail and pressed on. It became apparent within the first few miles that this trail was woven into a miniature mountain range. Walking up a steep hill is understandable, but some of the down hills where so steep they also forced us to walk. It was a rollercoaster of a trail, threading its way through a pine forest with the foggy coast peeking through every so often. We took one other jaunt off the main trail at about the 5k mark. This long series of wooden stairs brought us down to the ocean floor. It was a continuation of the beach we had spied earlier. To our surprise, we realized the beach was made up of millions of rounded rocks, not sand. We marveled over the unusual colors of the rocks, still wet from the blanket of ocean they had recently been under. We filled our pockets with rocks of all colors: dark blues, rosy pink, iridescent greens, grays with white stripes. Laughing about the added weight, we climbed the stairs back to the main trail. We finally emerged from the woods at the end of the trail to see a visitor’s center. Fortunately, we’d had the foresight to carry cash, although we’d neglected to bring food or water. After snacking on candy bars and sports drinks, we set out to retrace our steps along the trail. It was a memorable long run full of stops and starts. I used my hands to help me climb up a hill and lost count of the times my pace changed dramatically, from downhill speed to uphill speed. However, it was the type of adventure that makes me thankful to be a runner. And even though I was sore the next day, I saw things I would never have had the chance to see if I had taken the auto road. The 4th edition of Mike's incredible story will be posted next Monday July 9th due to the holiday week. 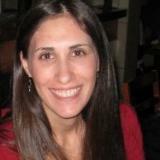 In order to get the latest info and to receive the newest blog posts "Like" View The Race on Facebook. New blog posts and new race videos are always posted on Facebook first. Over the next few weeks we will take you through the incredible transformation of Mike Tang. At the end of 2011 Mike weighed 240 lbs (5'8) and was in terrible physical condition. In just a few short months he has lost over 50 pounds and has just recently finished the Bassman Triathlon. Part 1 of this series starts with why Mike decided to change his life. Part 2 takes you through his 10 day juice fast and other steps that led him to plant based living. Part three in this series (this post) explains the process Mike went through to determine what to do after the juice fast was completed and how he started the plant based living lifestyle. In case you think I am insane (those that know me know the answer to that question), I do not advocate just watching movies and accepting the plot and events as fact. That would be just crazy, right... “Fahrenheit 911” and “An Inconvenient Truth” fans? But the nutrition movies continue down the path of “Super Size Me” and “Food Inc.” and actually present working plans on how to approach a lifestyle change to increase overall health. So I researched some more, “Vegan”, “Vegetarian”, “100 Mile Diet”, “Organic Foods”, there is so much to learn on each one of these plans that it would make your head spin. I just needed to figure out what I was going to do after the juice fast. The end of the 10 days was approaching quickly and I wanted to exercise to really start losing weight. After researching all I could about plant based living, I decided I would finish the last 6 weeks of the competition with what I explained to people as a “single ingredient” diet. I was eating foods that were not processed, whole foods. My diet consisted of lots of vegetables, fruits, nuts, and mushrooms. If I picked up an item at the store, it would have to have only ingredients that I knew were whole foods individually.I had already made the most important fundamental switch, my body no longer craved meat, cheese, or sugar. At this point I was still limiting my intake of whole grains, oil, and sugar. My goal was to eat around 1000 calories a day (I do not suggest this long term, or without the supervision of a doctor). I had just spent 10 days without eating more than 600 calories a day so the culinary world had become my oyster, or at least my oyster mushrooms. Because most vegetables are low in calories, I was free to eat a ton of food at this time, and again I rarely found myself hungry. I did not stress over things like “in-season” or “organic”, these are all important, but I had already made the most important fundamental switch, my body no longer craved meat, cheese, or sugar. So, “never in a million years”, a coworker to this day still remembers my reaction in 2011 to the notion of becoming a vegetarian. This month I had not only stopped eating meat, I had stopped eating altogether for 10 days and I had not died nor did the world end. In fact, for the first time in my life I did not feel completely controlled by food. “I don’t like” and “I would never” had become excuses for me to continue to eat the foods I liked to eat, and this month I had challenged those things to the core. Just as easy as it is to say “I am too tired to exercise” or “I will do it tomorrow” these statements had now all become distant monikers of an old lifestyle. The body is amazing. It tells you what you need to know, but most of us, including myself, choose to ignore it. You feel good when you eat junk food, but only for a moment, then you feel terrible. Your body craves the “feeling good” and your mind justifies the “feeling terrible”. Eating right, your body stabilizes and starts to crave good food, because you feel better overall. It is not easy at first, but nothing that really matters is. You read about great people all the time, but what separates them from you is really nothing more than “action” in most cases. The results may not be the same, but that should not matter. The confidence of meeting your own goals and sticking to a plan you can control is all that is important. Good things take time; great things are defined by doing those good things for a lifetime. There are no shortcuts in life; you still have to live your life until you die. This month I had really dropped weight, not just around the waist, but also in my overall bone structure. Not over loading on protein allowed my body to naturally shrink my frame as my body was not preparing to build extreme muscle mass. My shoulders had started to shrink and my chest had gone from close to 50 inches to 44 inches. Then came the weigh in. I was excited to weigh in and see where I was at in the overall picture. Could I break through to the top 3? How much more would I have to go through to win the competition in March? I took a deep breath and stepped on the scale.... 215.5... I had lost another 18 pounds total in February!!! I had lost over 10% in two months, close to 8% in February alone. How much more did I have to lose to win? I waited for the leader to weigh in, anxious to have a definitive goal for third month. In a great strategic play, she refused to weigh in. I had tipped my hat, let here know exactly how much I had lost and the traction I had gained. I was upset I did not know where I stood, but now knew I was in second place. One month to go: full steam ahead…..
Over the years one of my favorite parts of a vacation is the sightseeing. 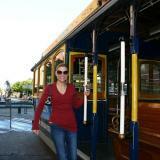 Visiting new places, famous landmarks, historical buildings, etc. My preferred way of sightseeing may be different than most. 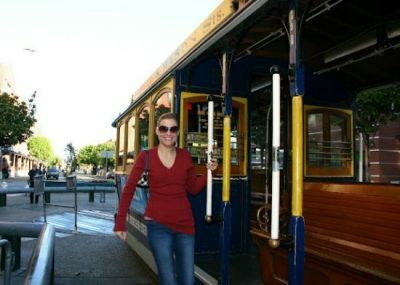 I have always enjoyed running from place to place during my designed "sightseeing tour". Now this is not an official workout. I typically wear a 3 button down shirt, golf shorts, and running shoes. This is simply mapping out all of the places you would like to see in a city and instead of riding a bus, cab, or rental car I run between each venue. It may be a little unconventional, but luckily my wife is a runner too, so it works for us. 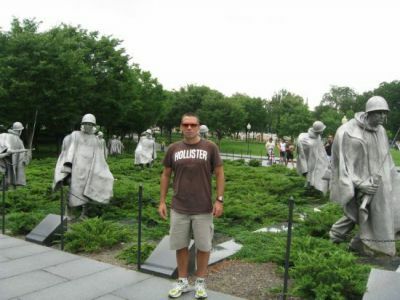 One of my favorite places to go on a "running tour" is Washington DC. I have made this trip with my family several times. In the early years my daughter was small so I would push her in a jog stroller and my wife would run next to me. We would stay in a downtown hotel and map out a route that would take us by the monuments and museums we wanted to visit. Now remember this is not a workout. 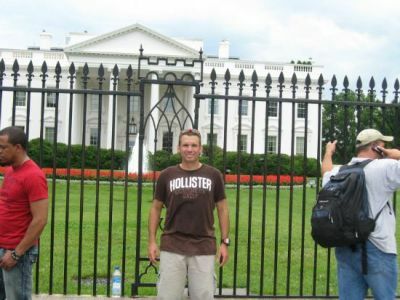 We would run at a comfortable pace and stop to take pictures and visit the monuments or museums for as long as needed. Once we were done visiting a particular place we would simply start running to the next location. Being the typical runner you know I was wearing a Garmin . That way all of my miles could be calculated....you didn't think I wasn't keeping track, did you? ...then run back to hotel. This would total anywhere from 8-10 miles of total running depending on where our hotel was located. Would you be drenched in sweat? Yes. Would you be tired? Yes. But was it fun? Absolutely. There is nothing like being able to get place to place by running and not having to worry about traffic, crowds, parking, etc. Not to mention if you like running this is actually fun. My daughter was in the jog stroller so she didn't care at all. Once my daughter graduated from the stroller I can tell you we had to abbreviate our "tours" to a 4 mile version. She actually "trained" one summer to get ready for our trip to DC. I have done many trips like this one over the years in different locations. I think it is fun and active and eliminates the boredom of trudging from place to place on a tour bus or going back and forth to your rental car and waiting in traffic. You also get a better feel for a new location and get to see different things along the way that you wouldn't see otherwise. Next time you travel to a new location, consider planning out your own running tour. Over the next few weeks we will take you through the incredible transformation of Mike Tang. 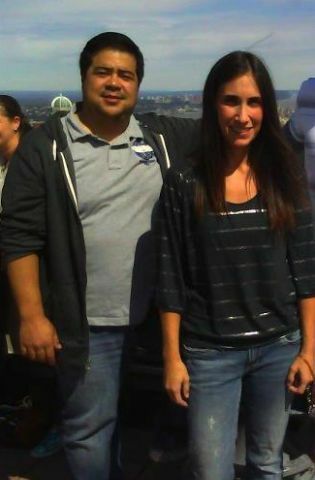 At the end of 2011 Mike weighed 240 lbs (5'8) and was in terrible physical condition. In just a few short months he has lost over 50 pounds and has just recently finished the Bassman Triathlon. Part 1 of this series starts with why Mike decided to change his life. Part 2 (this post) takes you through his 10 day juice fast and other steps that led him to plant based living. Let’s get something clear, up front. I love meat. I love cheese. I would consider mayonnaise one of my closest friends. That is what made the Atkins Diet so perfect for me, eight years of eating the things I loved the most. As far as food goes, nothing, let me repeat, nothing made me happier than a smoker full of ribs and eight hours of stoking the fire. The process of turning meat into “fall off the bone” ribs is nothing short of amazing. Growing up, meat was a symbol of success for our family. Large feasts of roasted pig, fish, and duck were revered as much as Larry Bird and the Celtics were on the court. So after a month of dieting and not seeing the results I needed to win the "biggest loser competition" at work, I was ready to make a move to an extreme diet. I am a competitor after all, and I had set the bar high. I was going to win come hell or high water. We all know the internet is a great place to do research. Every idea out there can be validated by some crazy guy typing a blog post on his kitchen table. So what was real and what was “infomercial” propaganda? After a lot of digging, I settled on the fact that my “extreme diet” was going to be a 10 day juice fast. I found the best way to prepare the body for a juice fast was to spend a week eating raw nuts, fruits, and vegetables. Ten days of no meals, juicing fresh vegetables and fruits in a juicer . It seemed that it had all the hallmarks of a crazy plan, no eating and rapid weight loss, just the thing I needed to get back into the running. So, where should I start? I had already cut out alcohol, sugar, refined carbohydrates (flours and rice) and caffeine. After some research, I found the best way to prepare the body for a juice fast was to spend a week eating raw nuts, fruits, and vegetables. That week was hard, but it went by pretty quick. I started the first phase on a Monday and by Friday I was restless. It was “go time”. I started my ten day juice fast on a Friday night with my first “juiced” meal. My only goal at this point was to make it until Sunday night. "I can do anything for three days," I told myself. “25 laps in the pool and then 2 juiced apples, 5 juiced strawberries and a hand full of blueberries. This is hard...”, was my first post on Facebook. I had let the world know, no turning back now. I was restless that night, but I was resolved to make it so I simply drank a glass of water and tried to fall asleep. I somehow made it through that first night and into my first full day Saturday. I woke up and made a juice of green grapes, strawberries and a nectarine. Then came the hard part, I had to go out to the mall to run an errand. This was where the panic set in. What would happen if I needed to eat something when I was out? I got in my car and headed to the mall. The clock was ticking. I remember feeling claustrophobic as I ventured out, passing fast food restaurants, the convenience stores of quick meals, none of which could help my hunger. I needed to finish quickly and get home. Two hours, two short hours had passed since I juiced and left my house, but I was finally home. I thought I was going to die, I juiced quickly and sweet relief, I was nourished again. The rest of the day passed uneventfully, I had made it 24 hours without a solid meal. I went to bed, I was almost through my first goal, make it to Sunday.My mind and body were in active revolt against what I was forcing myself to do. I juiced throughout the day, but I could hardly get off the couch.By the time I woke up on Sunday morning I had gone over thirty hours without chewing any food. This was definitely the hardest day for me. My mind and body were in active revolt against what I was forcing myself to do. I juiced throughout the day, but I could hardly get off the couch. The second hand on the clock was crawling. I needed to eat a real meal and chew some food. I thought it was best to distract myself. I decided to find a project to do around the house. It was in the middle of this project when life hit like a ton of bricks. Every frustration I had ever had in my life somehow manifested itself in anger and emotion. “You simply don’t understand at all,” I explained to my wife as tears ran down my face. If I was not going to give my body the food it craved, it was going to break me down to the core of who I was and force me to eat. Looking back, this was the last stand for my old cravings for bad food. With the support of my family, all looking at me like I was completely crazy, I made it through day three. I woke up on Monday, my body almost completely broken of its craving for eating food and feeling a ton better. I made my morning juice and headed off to work. This is where the work of the weekend paid off. I was able to work throughout the day with new energy and focus. That week I even made a day trip to DC, patiently taking the crew out to lunch while drinking a glass of water, waiting to go to Robek’s for my ABC (Apple, Beet, Carrot). I cruised through the rest of the days of the fast, and by the end I felt I could nourish myself this way indefinitely.I cruised through the rest of the days of the fast, and by the end I felt I could nourish myself this way indefinitely.Things I juiced in the morning consisted of fruits, Apples, Oranges, Pineapple, Carrots, Blueberries, Grapes and Strawberries. These things all complement each other well and can all be combined to make creative meals. 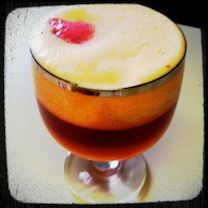 Some days, I would create another fruit juice concoction and drink it for lunch or I would switch to vegetables. My plan was every night to get my vegetables in juice form; these were low calorie, low sugar and high in nutrients: spinach, broccoli, asparagus, cucumber, ginger, garlic, and celery. Between meals, I fell in love with Smart Water and drank 4-6 liters a day of water. Reset my palette to not expect high fat foods, processed foods, and meat. Energy from digesting nutrient rich meals three or four times a day. Vegetables have a ton of things that are good for me. I generally felt better. I learned that I would not instantly die if I missed a meal. I control my body and cravings, not the other way around. Setting small goals that spanned a few days made everything more attainable. Having a plan for the next step allowed me to move right into the next thing and not feel like I was “stuck” miserable forever. Fruits and vegetables made me feel good. My body was sick and I did not even know it. I had simply allowed myself to get used to feeling awful. The human body is a amazing thing. Get to understand what yours is telling you and not turn a deaf ear to the pain you cause it. I felt good, and it was really starting to work, so what next? By the way, for those keeping count... halfway through February I was down to 223.5, a loss of 10lbs, game on! I had already lost more weight in the first half of February than I had in the entire month of January! Next Week: Now that juicing was done, what was the next step and the second month weigh-in? Would I do better than month one? I wrote a blog post last month about overcoming swim anxiety in triathlons and my experience earlier this year at the Bassman Half Ironman where I had an anxiety attack in the water during the race. I mentioned in the post that the only way to get comfortable in open water is to get out of the pool and start training in a lake/river. There are many, many benefits to training in open water. Reducing swim anxiety is just one of them. Of course, you want to be sure you take all the necessary safety precautions if you hope to truly stay safe and relaxed in the water. Never swim alone - There are plenty of triathlon clubs and swim groups that have organized or semi-organized swims in open water. Also, if you get involved in your local club there will always be people that are looking for training partners. We are all in the same boat (no pun intended)....No one wants to train alone in open water, and everyone knows the value of doing it on a regular basis. Be aware of your surroundings - Swimmers often share the open water with boats, jet skis, canoes, etc. Wear a bright colored swim cap and continuously sight for potential hazards or obstacles in the water. I often practice in a river and occasionally there are large tree branches or debris that has floated down stream into the area I swim. I try to sight in the water every 4th or 5th stroke to make sure I am not going to bump into something and to ensure I am staying on line with my target. This is excellent practice as in a race you also always need to be aware of other swimmers and ensure you are taking the shortest line to the finish in the water. Be aware of weather conditions - Weather can be a factor when training in open water. I train in open water 2-3 times a week and it is amazing how weather affects the conditions in the water. Again this is excellent practice. You definitely have to swim differently if there is a lot of chop to the water versus a completely calm day.Training in all kinds of weather eliminates stress on race day. You will know how to swim in all conditions! Practice with the equipment you use in a race - If you plan on using a wetsuit in your race then wear one in training. If you know you definitely can't use a wetsuit in your upcoming event then train without one in practice. A few years ago I hardly ever wore my wetsuit and was extremely uncomfortable wearing one. I finally started training with a wetsuit and now I am very comfortable. Practice..Practice..Practice...You will never be comfortable and confident with equipment if you only use it in a race. Use a swim buoy - I mentioned using a swim buoy in an earlier post and I have received a lot of questions and inquiries about how to use a swim buoy during training. I created a video to explain the use of a swim buoy during training in open water. Check out the video below. Swimming in open water can be a very rewarding experience and is a lot more enjoyable than swimming in a pool. If you enjoy running you wouldn't do all of your running on a track, right? Not to mention, you are training to compete in triathlons and most of them are in open water. Doing all of your training in a pool is not going to eliminate any of your open water anxiety. Get into the open water and start swimming for REAL. You will be glad you did. Over the next few weeks we will take you through the incredible transformation of Mike Tang. At the end of 2011 Mike weighed 240 lbs (5'8) and was in terrible physical condition. 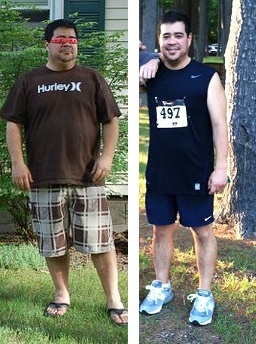 In just a few short months he has lost over 50 pounds and has just recently finished the Bassman Triathlon. The first entry in this series starts with why Mike decided to change his life and the first steps he took on his journey. Last December my work put together a biggest loser competition for 2012. The contest was to begin on January 1, 2012 and run for 3 months. There would be a monthly weigh-in, and the winner would be the person who has lost the highest percentage of weight at the end of the three months. I decided after years of inactivity and abusing my body (with food) this was my time to change my life. There was no life changing medical condition, I didn't see a picture of Jesus in my French toast, I just decided enough was enough. My short term plan was to win the biggest loser competition at work and my long term plan was to live a healthier lifestyle and keep the weight off that I anticipated losing in the competition. As I started my journey I wanted to remind myself I am human. If at any point I felt I was not making the progress I wanted to, I had to remember my long term plan. I was eating and gaining weight, not sleeping well and stressed out. It was easier to eat than to do anything and it made me feel better. Ah, the irony of life. Those things which comfort you the most are the most harmful, but more on that later. Anyway, Thanksgiving through Christmas are always food bonanzas, tables full of food, gravy and desserts. I had gained a bunch of weight at the end of 2011, and I needed to take it off. The timing was great for the "biggest loser" competition at work. The last week before the weigh-in at work for the competition, I ate like crazy. Gotta gain to take it off, I thought. 239.5 lbs. Everyone was constantly reinforcing that I was in first place, I had dropped some waist sizes and I was sure I had dropped a lot in the competition. All this work was going to pay off, plus I was never hungry, I was eating a lot of nuts and Atkins friendly food, as much as I wanted really. Then came the weigh-in. 233.5. Six pounds. One month of all this and I was in like 10th place. I told myself not to worry, winning was not why you were getting healthy. Boy did it bother me though. I think I need to schedule that double amputation. Ok, I was working out a lot, and I thought the limited weight loss may have to do with gaining muscle mass. 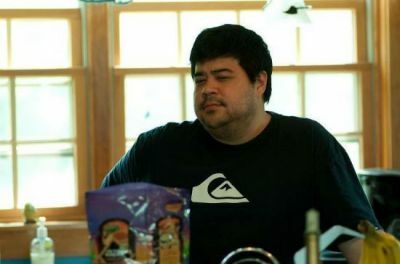 Also, Atkins is really not a good way to lose weight and eat, or maybe it is, just not quickly.I had no idea the path I was about to start down and how it would entirely change my life. I needed something even more drastic, something that would propel me back into contention. I googled "Extreme weight loss" and "Lose weight quickly", what came back were crazy starvation diets, nothing that seemed sustainable and/or healthy. Then I saw something that caught my eye, a 10 day juice fast to reset your eating habits. Sounds like a challenge, I will start there. I decided that for month two I would change things up and start juicing.I had no idea the path I was about to start down and how it would entirely change my life. My next post will describe my 10 day juice fast and the results in month two of my journey. UPDATE: Read part 2 "The Juice Fast, Into the Belly of the Beast..."
Fastest 5k Race in the World? I am not sure if the Hollis Fast 5k is the fastest 5k road race in the world, but it is certainly the fastest 5k race I have ever completed. What makes this course so fast? 1) It is a point to point course with only one turn. You basically run straight down one road for the entire race. 2) The course has a gradual downhill grade. You will not be running out of control like you would if the downhill grade was steep. This allows you to run the entire race with your normal 5k stride, and you will be able to maintain your top end speed for a lot longer with the same effort. 3) Wide road, so really no issue with crowding. Here is some real data about how fast this course can be. 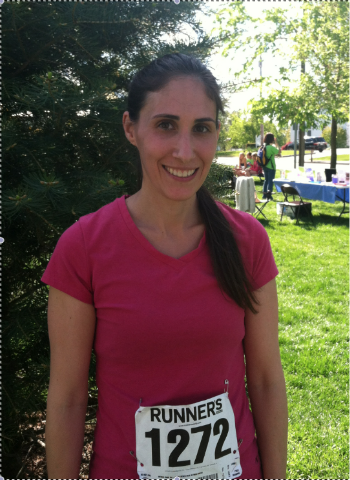 Last year I ran all 8 races in the Good Times 5k series in Lowell, Massachusetts. The last 5 races in the series I ran between 19:06-19:36. The Good Times series ended the week before the Hollis Fast 5k so my conditioning did not change before I entered this event. My time at Hollis was 18:32. Not only was this about a minute faster than my average time last year, but it also broke my all time PR of 18:44. Here is how I ran the race. I started out running with the normal effort I would give in a 5k but ended up running the first mile in 5:45 which is 10-15 seconds faster than usual. I am a crash and burn 5k runner so I usually run the 1st mile very fast and then die off to the finish. This is where the speed of the Hollis course pays off. Because the race is a gradual downhill the entire way, you are able to maintain a faster pace for longer. My time for the second mile was 6:02. The course flattens out in a few spots so you need to concentrate to maintain your pace. Keep telling yourself that if I can hold this pace for another 30 seconds the road will start heading downhill again. The beauty of the Hollis Fast 5k is that it continues going downhill right to the finish. My third mile was 6:07. I was dying, but the course enabled me to hold pace. I finished in 18:32 with a new PR. I recommend that you do not wear a watch for this race. Since it is a downhill course you will have no baseline to know what is a good pace or bad pace. Run a hard controlled effort for the entire race and then give it everything you have for the last half mile. 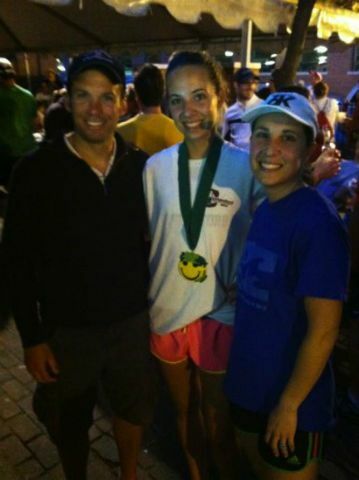 The bottom line is that if you are in good form right now, you should definitely enter the Hollis Fast 5k on June 14th. Sign up today as they only accept 1200 runners, and there is no race day registration. 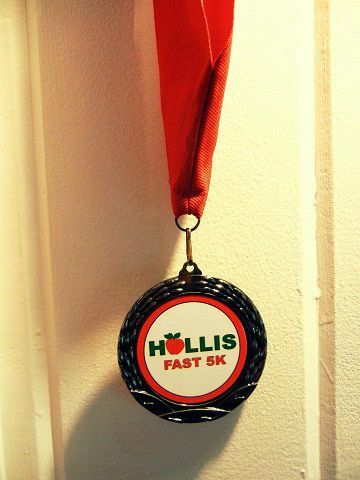 If you want a PR in the 5k this year....run the Hollis Fast 5k....you will not be disappointed. 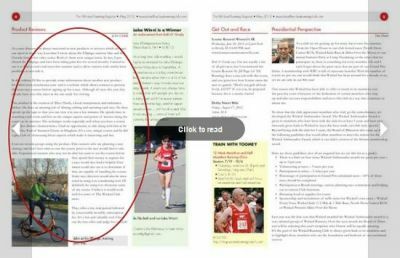 Check out the article about VTR on page 4 of the Wicked Running Register. Big thanks to John Childs from Old Colony Running Events for writing the article and for his support and efforts to spread the word about VTR! 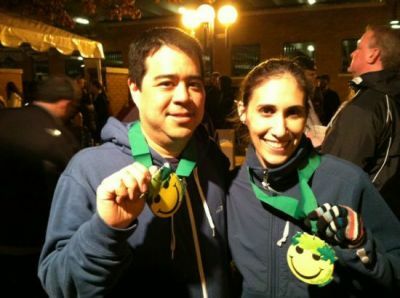 Last night was the 8th race in the 10 week Good Times 5k series in Lowell Massachusetts. As the weeks keep going it gets harder and harder to get excited about blasting out 3.1 miles every Tuesday night. Especially since I have been riding 75+ miles the last 3 Sundays. Tonight was similar to the last couple of weeks. My legs were a little sore and I had a lot of overall body fatigue. The good news is that I broke 20 minutes again with an 80% effort. Basically Tuesday night has turned into a nice short tempo run for me. Why do we all panic at times in the water? Well...I think it is obvious. On the bike you can stop if you are tired, on the run you can walk or stop. In the water if you can't make it, you need to be rescued or you will drown. It's that simple. All triathletes know this and most take the necessary precautions to stay safe while training in open water. How do you stay safe and minimize the chance of having a panic attack in a race? Practice..Practice..Practice...Just like everything else. If you only swim in open water during a race and you only race 5 or 6 times a year do you really expect to be comfortable in the water? 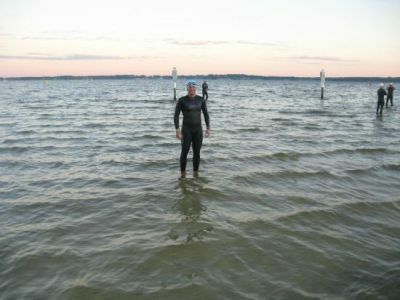 Once the water warms up in April/May as a triathlete it is time to start training in open water. A few years ago I started swimming 1-2 times a week in open water. 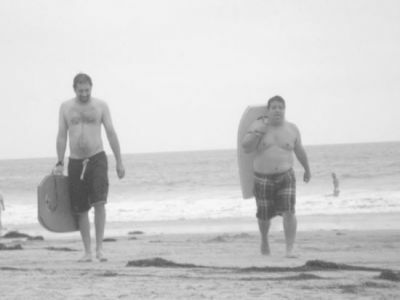 In a short amount of time I started to feel more and more comfortable in the water. You learn how to navigate, deal with choppy conditions, pacing, etc. All of those things cannot be learned in the pool. Not to mention you get more comfortable swimming in your wetsuit. In order to be safe I use a swim buoy . I have it attached to my ankle, and it floats behind me while I swim. It pulls on your leg a little bit but before long you don't even notice it. Any issues in the water and I have a safety buoy of my own to lean on. That is the only way to go. Anything can happen in the water, and you want to stay safe while training. I highly encourage anyone who struggles with anxiety in the water to join a group (never swim alone), get a swim buoy , and start training in open water. Before long you will notice a big difference in how you feel in the water, and your swim confidence will increase dramatically. 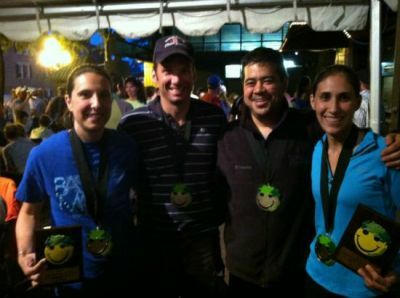 The Mooseman triathlon races are June 2-3. The international (Olympic) event is on Saturday and the big race (half Ironman) is on Sunday. The Mooseman triathlons have a reputation for being challenging bike courses. 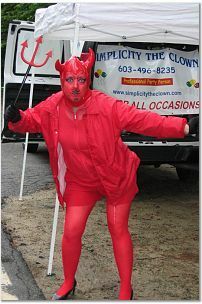 I have done the International event twice and have trained on the roads around Newfound Lake for years. I can tell you that both courses are tough, and unless you are Lance Armstrong you need to pace yourself. The International course has the famed "Devil's Hill" which should strike fear in the hearts of the undertrained cyclist. Devil's Hill comes early on in the race and is a short but very steep hill. I usually spend the first few miles after transition settling into the bike and keeping my heart rate down. There are several decent rolling hills prior to Devil's Hill. You definitely do not want to go crazy until you are over Devil's Hill. Settle into a nice rhythm and warm up your legs. As you come through the center of Hebron you will have a nice downhill (25 MPH no peddling) and then you will start to climb Devil's Hill. The beginning of the hill starts with a short but tough part and then it really gets steep. I try to spin my way up as much as I can. I try to delay standing until the last 20-30 yards if possible. Another key is making sure you start the hill in the correct gear. If you start in too high a gear you risk not making it. Every year you will see people walking up the hill. After you get past Devil's Hill the course is tough but nothing else on the course is scary. The half Ironman event does not go up Devil's Hill. You might say...great...easier course. You would be incorrect. The course now travels over Mount Rumney twice. Mount Rumney is a 3.5 mile long climb that is extremely steep in certain sections. This is one of the toughest climbs you will experience in a triathlon in New England or anywhere. I think the "scariest" thing about this climb is that you have to complete it twice. If I was doing this climb in a race that would be all I would be able to think about it. This hill is the type of climb that will keep you up the night before. If you are an inexperienced or undertrained cyclist I would definitely recommend the third chain ring (granny gears). Having the third chain ring will reduce your chances of having to walk. Once you make it up the climb, the descent off this hill is extremely technical and fast. If you do not like flying down a steep twisting descent then the downhill section of this course may be just as nerve racking as the uphill. Check out the Mooseman International. 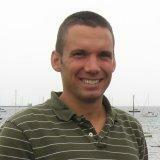 After months of searching for my first 10k road race I finally signed up for the Westford 10k Road Race. (See Dave's earlier blog post here) On May 6th I completed the race. It was my first time running a 10k. 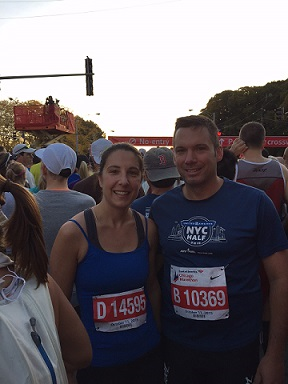 After only running 5k road races for years I decided to set a goal of completing a half marathon this fall. As this is quite a jump in distance from a 5k I was determined to complete a 10k this spring to build my confidence. If you are familiar with Westford, Massachusetts you may be surprised that I chose to complete my first 10k in this town. Most of Westford is very hilly. After viewing the race several times I realized the course was not as challenging as I had originally thought. I saw that there was a major hill the last mile of the race but at the beginning there was a huge downhill. The middle section of the course featured rolling hills but no major climbs. I started out a little conservative since this race was my first 10k. I was still a little nervous about completing the event in good shape. The big downhill at the beginning really helps you conserve your energy at the beginning of the race. If I ran the race again I probably would run faster on the downhill but holding back made the first mile very easy. I continued my conservative but steady pace until mile 3 and noticed that I was passing a lot of runners that were breathing heavy while I was not. I decided at that point to pick up the pace. The next few miles were rolling, but I managed to get through that section OK. The hill at the end on Main Street is tough but it is at the end and you know if you just push hard you will soon be at the finish line. I crossed the finish line at 55:33 which was better than I expected. I left the race happy to finish my first 10k but also knowing I could have run faster the first 3 miles. I will continue to run the Good Times 5k race series each week and probably look to run another 10k before I run my half marathon in the fall. Whatever Happened to the Speedo? In the last 10 years there has been a tremendous increase in the popularity of the sport of triathlon. Increased attention on the sport has brought about better equipment and products for triathletes. There's also been a change in the staple clothing item worn at a race. During my early years in triathlon when you stood at the start line of a swim and looked around you, almost everyone was wearing a speedo. The "Speedo" was the thing to wear. If you watched the yearly broadcast of the Ironman triathlon in Hawaii all of the pros were wearing speedos. Amateurs too raced in their speedos for the swim, bike and run. I wore a speedo for my first 25 triathlons. They even had speedos with a bike pad. Fortunately speedos have disappeared from my wardrobe and the wardrobe of virtually every other triathlete. Here are some reasons why this switch has been a positive change for the sport. 1) Let's be honest. Regardless of how well-chiseled your triathlete body is...Bottom line...no one wants to see you in a speedo. There is nothing worse than the guy setting up transition and walking around prior to the start of a race with nothing on but an old faded speedo. No one wants to see that much skin. Plus it's a bit awkward having a prerace conversation with a stranger standing there in his speedo. 2) If you have worn a speedo for any length of time you have experienced chafing. Due to the repetitive motion of cycling and running the inner thighs are very prone to chafing. 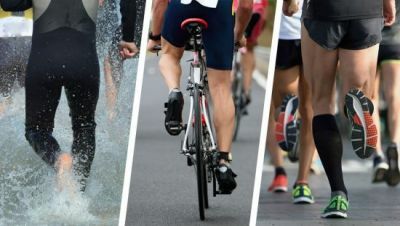 Most athletes figure out what clothing works best for them and eliminate this issue, but the speedo did not give you many options to avoid the "chafe". You could try putting vaseline on your legs or some other kind of body glide but that usually wore off quick. Basically if you are prone to chafing the speedo is the worst thing to wear. There is nothing worse than training hard for months for an event and then have your race ruined by a severe chafe. Thank goodness for tri-shorts. I have never had an issue with chafing since I made the switch. Even if you are one of the lucky ones and don't chafe with a speedo..if you are still wearing one maybe you should consider switching to tri-shorts as well. We will all appreciate it!! 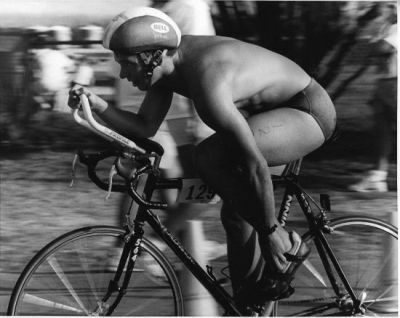 3) Wearing a speedo with a bike pad made cycling a lot more comfortable. Unfortunately when wet, the pad became soaked and would not dry until you were on the bike. Because of this, every time you ran from the swim to T1 it looked like you had a wet diaper on. Not very attractive. It was even worse if you went for a warm-up swim and then had to walk around with your wet diaper look prior to the race. Not cool. 4) Last but not least, the speedo looks good on the top 1% or less of the people on this planet. Not only do you need the right body but you also have to ensure you have been tanning, shaved properly, etc. Unfortunately, back in the day when the speedo was the "uniform" for a triathlon, 95% of triathletes chose to wear one. It really wasn't good. The sport of triathlon has changed quite a bit since I completed my first event in 1990. We have better bikes, aero equipment, training plans, etc. One could argue one of the best changes to the sport was the introduction of tri-shorts. Not only did this almost completely eliminate the issue of chafing but it also improved triathlon fashion considerably. If you are one of the last triathlete holdouts still wearing a speedo please consider upgrading to the tri-short . You won't be disappointed...and neither will we.